What is needed to make the Redlands prosper? What sort of housing would you like to see in the Redlands and where? How easy or hard is it to make changes to your property? What is already working well and what can we do better to assist our local economy? Council wants to get you involved in our future through a number of community engagement activities taking place around the city throughout July and early August. This engagement will focus on three key strategies designed to help guide the future of the city. These strategies are: City Plan 2015, Economic Development Plan and Land Supply Availability Study (link to info on each strategy). looking at housing possibilities as part of an upcoming Land Supply Availability Study. It’s a hub of information designed to educate, inform and engage with our community. 1. Visit the Capalaba, Cleveland or Victoria Point library until Saturday 9 August to learn more about how and when the City Plan project will happen. 2. Register for a community forum and have your say on the draft Economic Development Strategy or learn more about the City Plan and upcoming Land Supply Availability Study. Bookings are essential and can be made on the City Plan website. 3. Come along to a community pop-up information booth in a suburb near you to talk to a Councillor and learn more about the future planning for the city. 4. Host a Kitchen Table Talk with a Council planner. Learn more about how Council Planning works in a one hour session for up to ten people. Submit your expression of interest form. 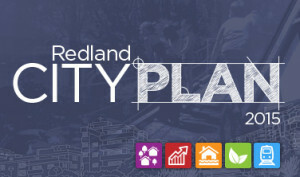 The Redland City Plan 2015 will provide a blueprint to guide the future of the city as it grows. It will help guide planning decisions from where development can occur, right down to how easy or hard it is for residents to do something on their property. The draft Economic Development Strategy charts a course for the city over the next 25 years driven by an increase in local employment, increased productivity and value-adding, along with tourism growth. The draft strategy identifies key local sectors for future growth as construction; education and training; financial and insurance services and professional services; healthcare and social assistance; niche manufacturing; retail; and tourism. Council’s upcoming land availability study, due for release shortly, will look at the Redlands’ expected population growth and the availability of land to meet that growth. This includes meeting the needs of our future community and the different types of housing needed to accommodate future residents, both young and old. Along with the findings of many other studies and reports already completed in the Redlands and available on Council’s City Plan website, the Land Availability Study and Economic Development Strategy will help in the development of City Plan 2015.